Hi. We are Flame Baked Pizza Co. and we love a wood fired pizza. We want to share our passion with You. To make this happen, we have built a custom trailer with a traditional Clay Oven and everything needed to give you the best pizza experience ever, right down to the Kitchen Sink! We can bring our experience to you from Bristol to London, from Reading to Exeter and all places in between. Each of our pizza is handmade, with the best quality ingredients, then cooked in our traditional wood fired oven and served piping hot. With a thin crust and great choice of topping our pizzas are like nothing you’ve ever tasted. A selection of pizzas from our fantastic menu are served on a buffet table, continually replenished throughout the event. Ensuring all guests get a chance to try all the flavours by the slice. 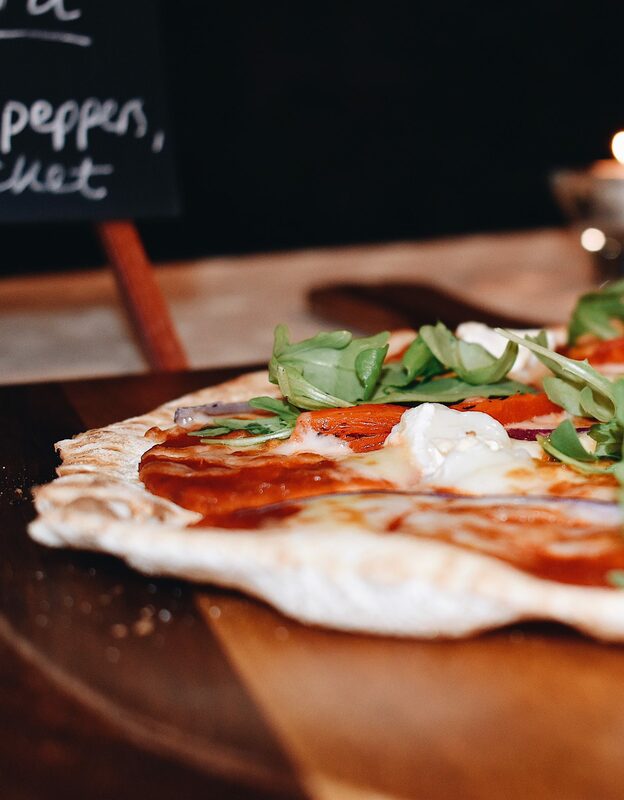 Your guest can get really creative, design their very own pizza from a choice of toppings which we will then flame bake in our wood fired oven. You’ll be amazed at the combinations everyone can create. We can enhance your event by offering a mouth watering selection of tasty Anti Pasti with cold meats, olives and sundried tomatoes. Cheese boards with a variety of Soft and Hard Cheeses, served with Bread and Crackers. To complete your taste sensation we have a range of tempting desserts. We can cater for vegetarian or Gluten free diets.